You are currently browsing the category archive for the ‘longarm quilting’ category. “Always gotta keep busy or the voices start telling me to do wild things.” A fitting quote I found on Google:) My voices tell me to shop & worse…eat! 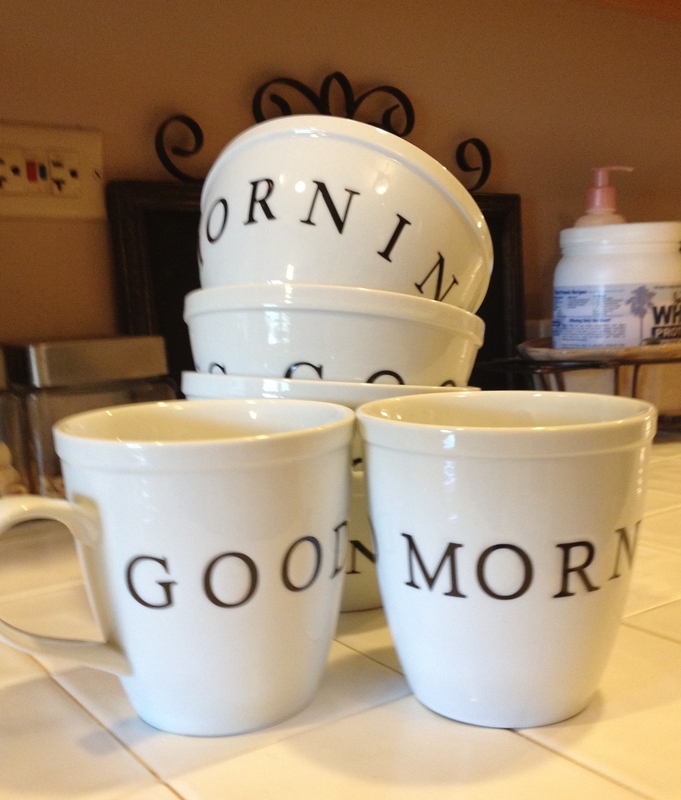 Cute coffee mugs and cereal bowls that say Good Morning! 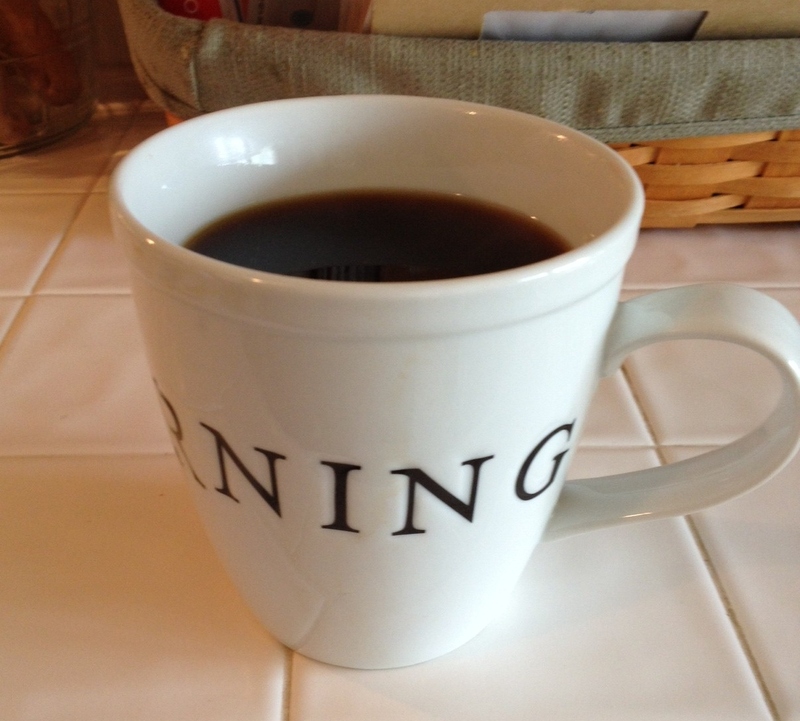 I poured myself a tasty cup of Red Velvet Coffee, yes I said it, Red Velvet! Sooo yummy! 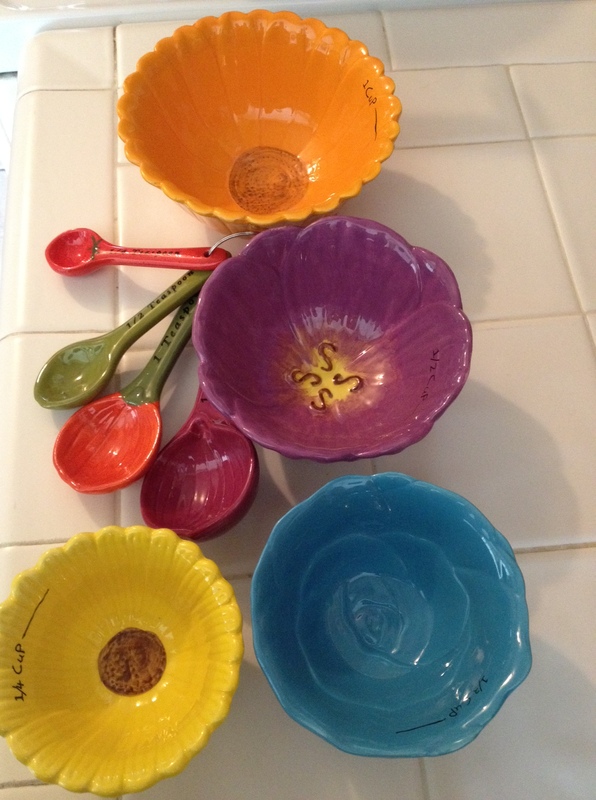 I found more of those cute stacking measuring bowls and a new set of ceramic measuring spoons. 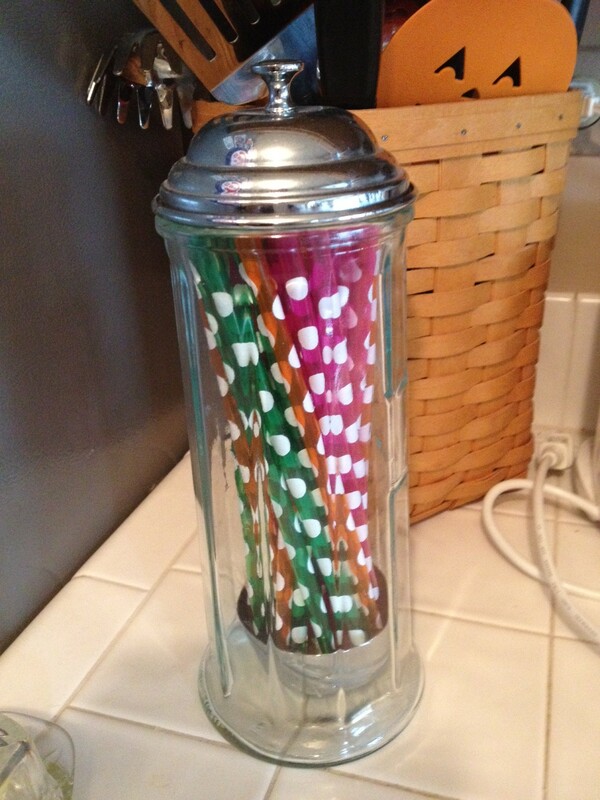 Cute reusable polka dot straws! 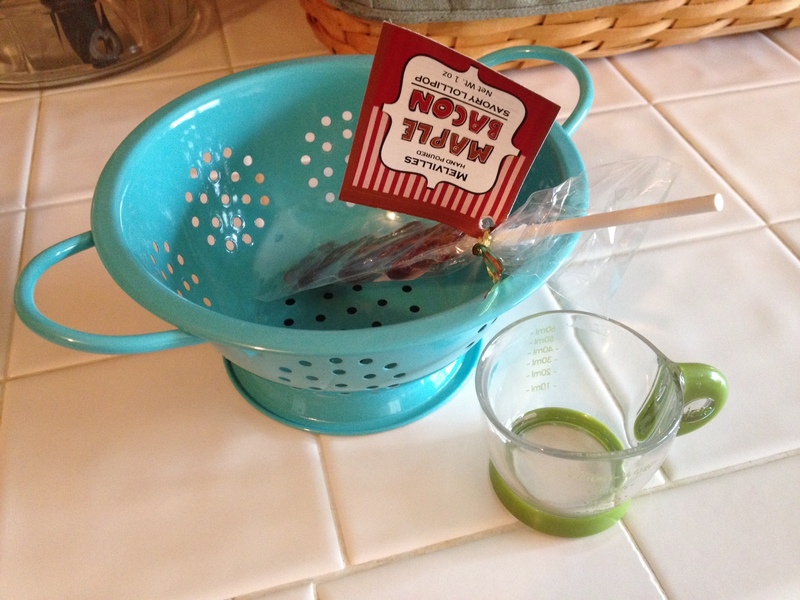 A mini colander in turquoise, a maple bacon sucker for neighbor Susan, who loves bacon & a mini measuring cup that is 2 Tablespoons.. 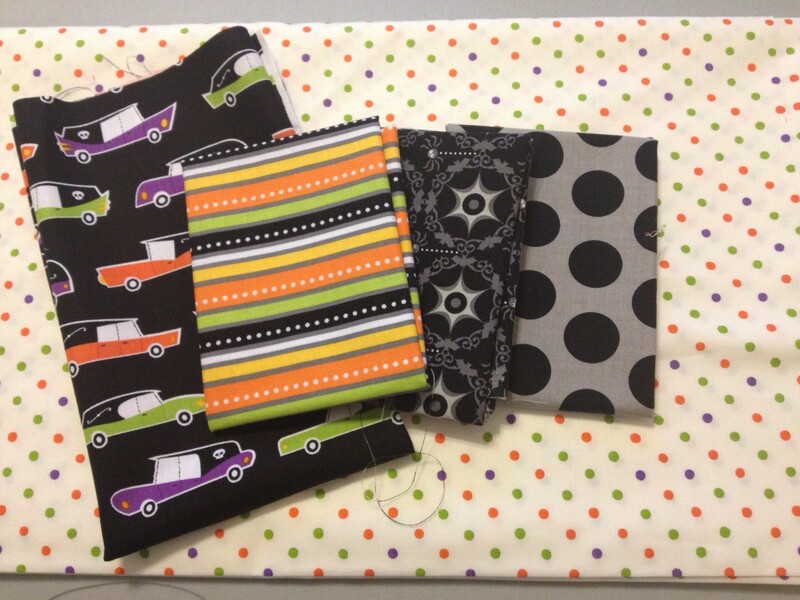 Some fabric shopping..I found the perfect polka dot for Halloween applique and picked up a few Halloween fat quarters I didn’t have. And a piece from 3 Sisters with Christmas post cards all over it. I love this piece! So to keep myself occupied and out of stores and restaurants, I’ve been busy working on shop samples and kitting them for our upcoming fall Quilt Shows. 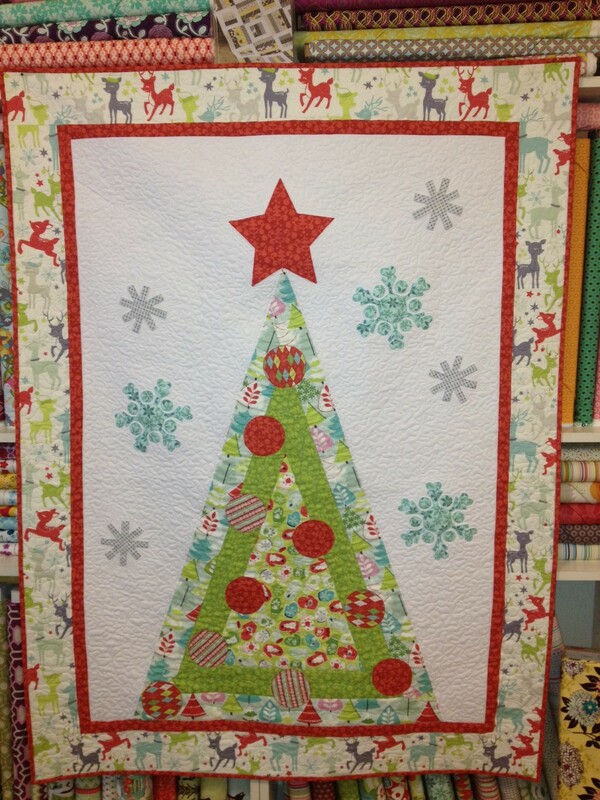 Arbre de Noel was made using the Tinsel Christmas line from Blend Fabrics. It turned out really cute! 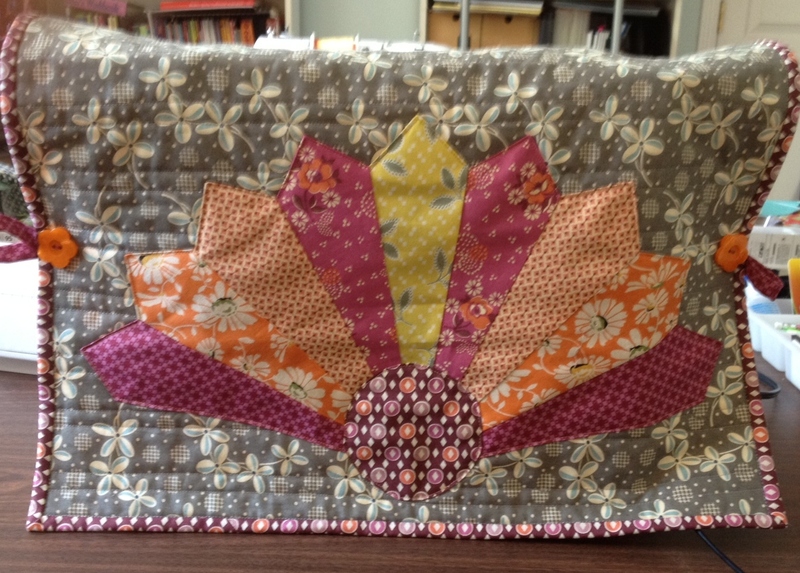 Paige did some awesome quilting, adding snowflakes and swirls. The big red star is my favorite. This quilt in progress is called Chopsticks. 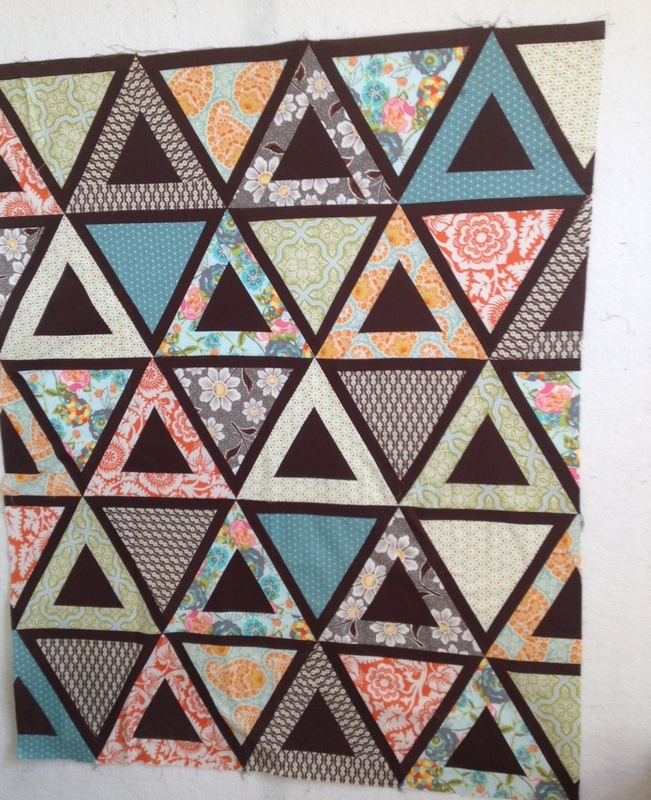 It’s currently awaiting quilty magic from Paige and I can’t wait to show the finished quilt soon. I’ve also been working diligently on the Witch’s Boot. But, I’m going to wait and show you that when it’s completed. That’s how close I am to being done…very excited! Here’s a list of the upcoming shows we will be vending at this fall. If you’re in the ChicagoLand area, come see us. We love to meet our customers! We’re excited to release a PDF version of our Cannon Beach pattern released this past March. 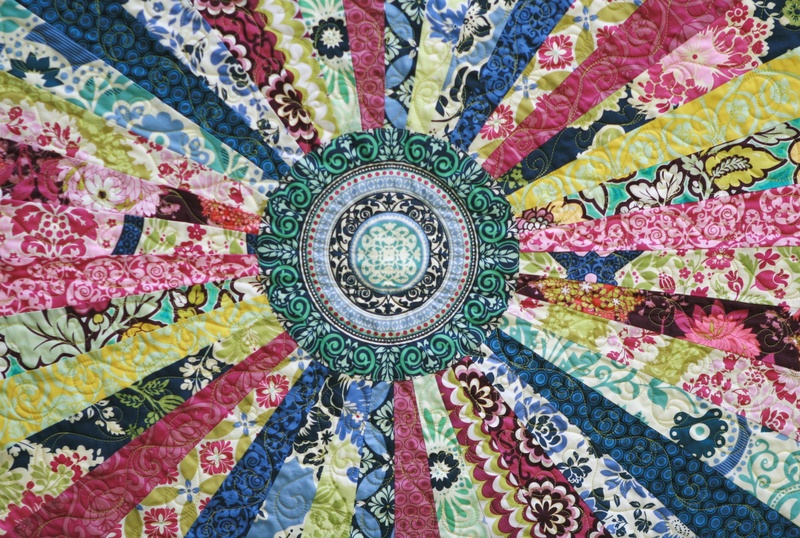 The PDF version has lots of pictures to support each step with more detail to give even a beginner quilter, looking for a challenge, the help to complete this quilt with ease. 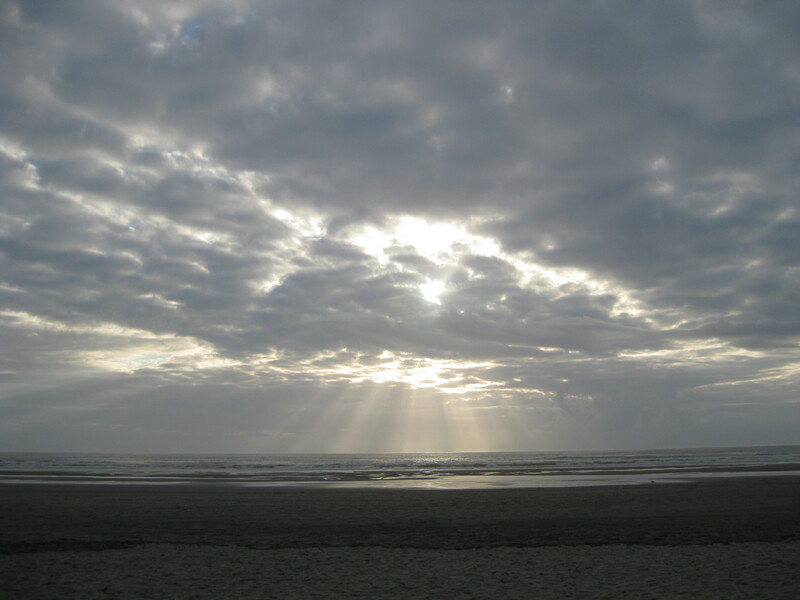 The original quilt design was inspired by my trip to Cannon Beach, Oregon in 2010 with my mom, sister and one of my longest and dearest friends, Karen –it was such a memorable trip for me, and everything was so beautiful. 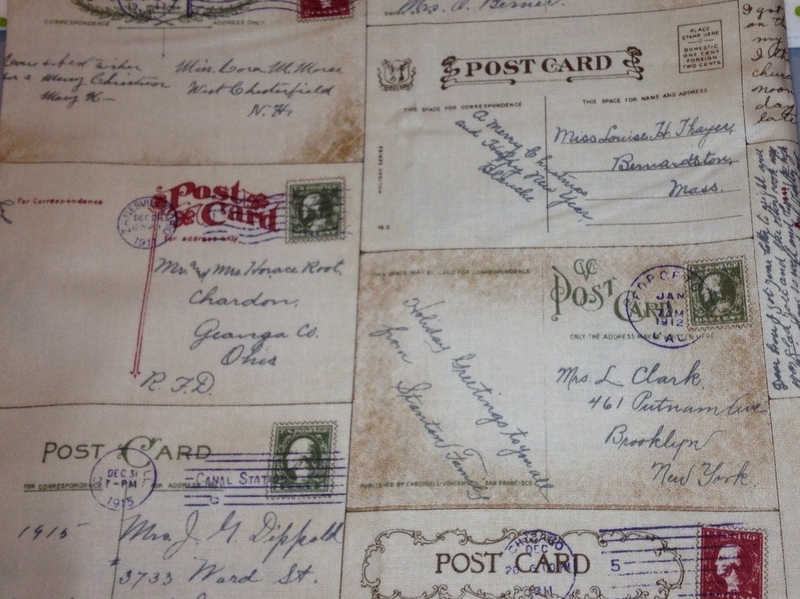 When I stumbled upon a bundle of Denyse Schmidt’s Hope Valley fabrics the images above, forever embedded in my mind seem to flow right thru the fabric into this giant Dresden design. 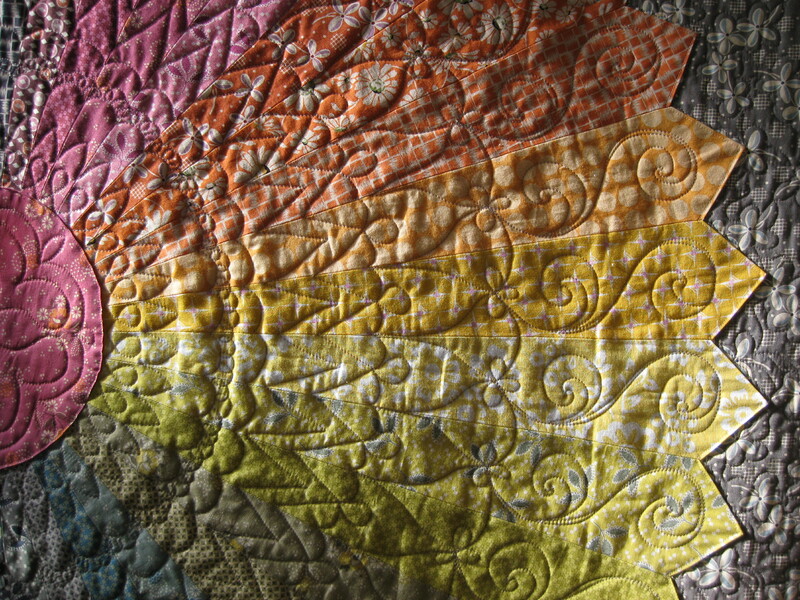 The machine quilting design seemed to flow just as easy once the quilt was loaded onto the Gammill. I started from the center and continued outward with concentric circular patterns, changing the design with each circle. This photo was taken when the sun was perfectly diffused thru the window over my front door – the quilting popped and the quilt came alive! This is definitely my favorite picture. The small half Dresdens in the corners were quilted similarly. When we received the Midnight Garden fabric line by Sandy Henderson for Michael Miller, Lorrie was inspired to make her version of the pattern. She added some Art Gallery Bespoken and Oval Elements, and one of Joel Dewberry Heirloom fabrics –they all went together so very nicely. 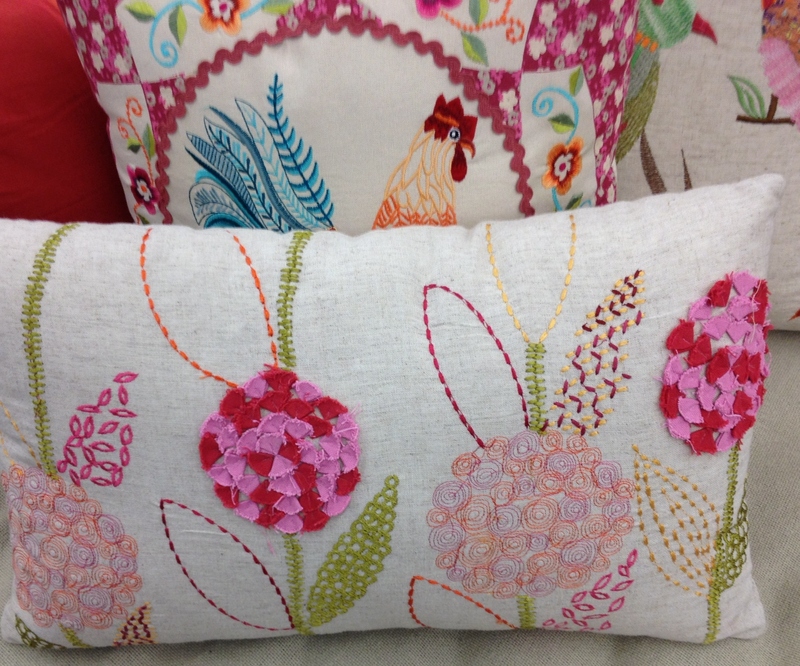 I love how fabric can reflect a quilter’s vision, personality and inspiration so differently. Isn’t the Midnight Garden Gate the perfect center! Lorrie requested a swirl pattern so I quilted each blade from the center outward to the tip. 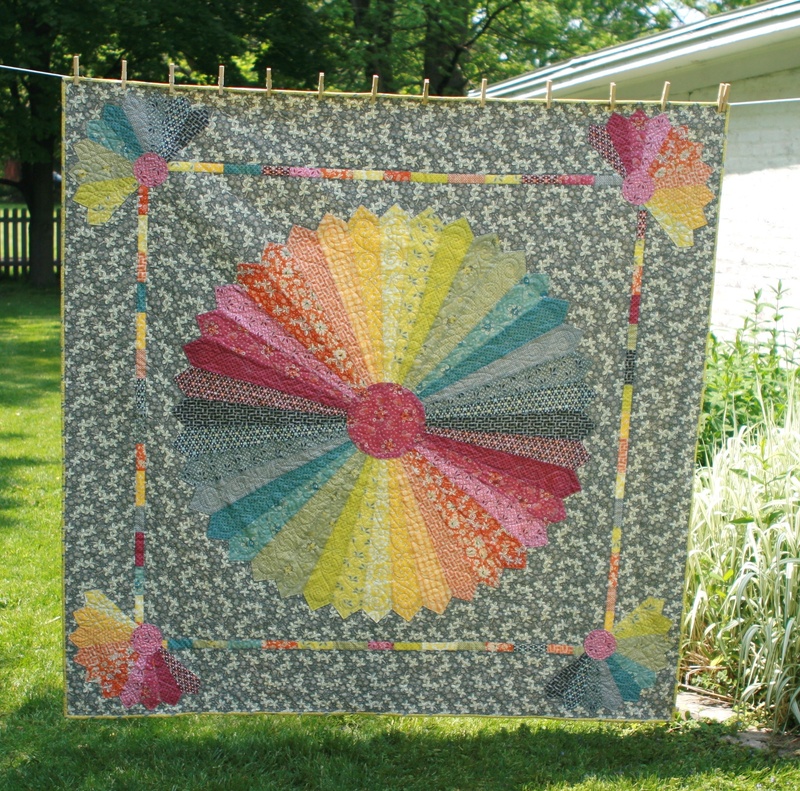 The large center Dresden was made using Marilyn Doheny’s 25” 9-degree Wedge Ruler and the smaller outer half Dresdens were made using the Easy Dresden tool by Darlene Zimmerman. 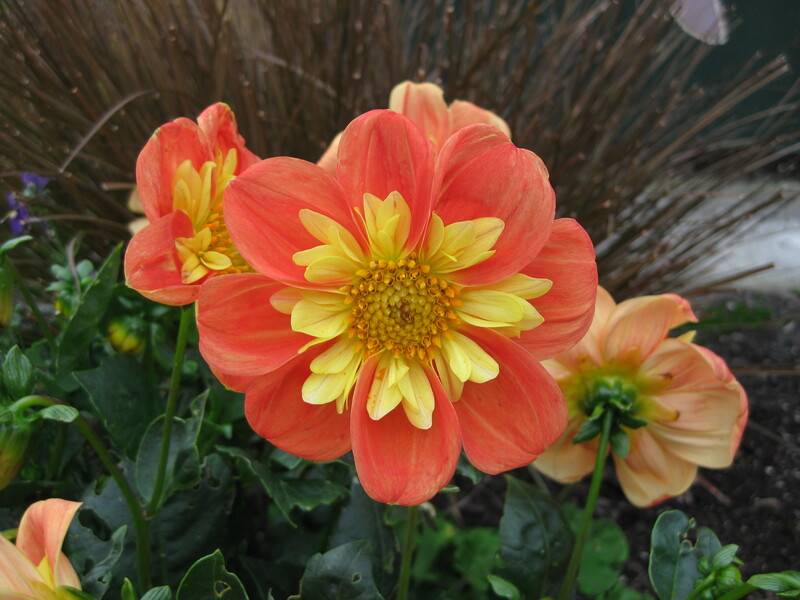 See Lorrie’s Easy Dresden Demo on how to use. These tools are so versatile and I highly recommend getting them so you can create any size Dresden and acrylic rulers do make it easier to cut multiple wedges. As a bonus though, we included paper templates for the specific size wedges in the Cannon Beach pattern. 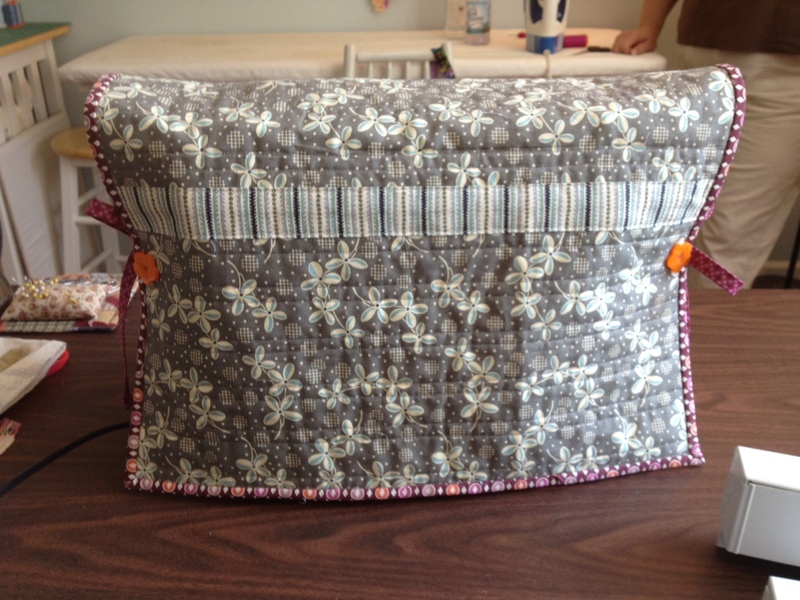 We had such great feedback on this fabric line, Lorrie made up kitsfor this version which include a free pattern. Kits, PDF patterns and the original hardcopy version are all available in our Etsy shop! I recently spent the day sewing at Paige’s house. She worked on a new quilt design, while I worked on a Christmas Dresden Table Runner, which I can’t wait to show you how cute that is. We are doing our first demo and vending at a local guild. 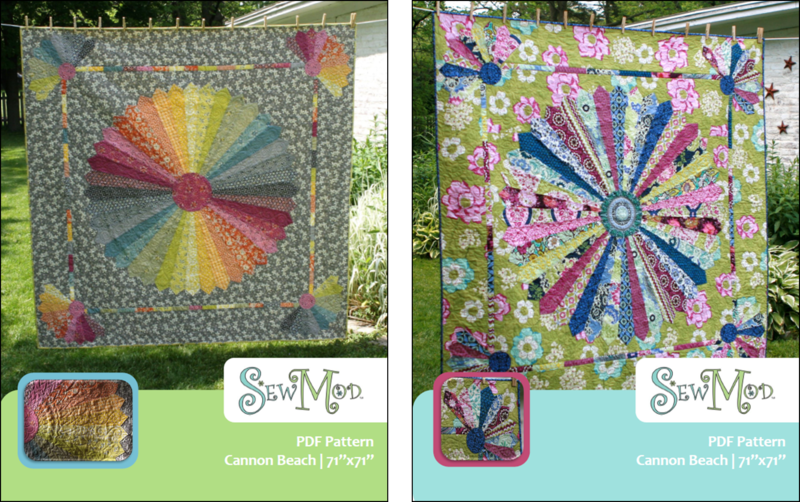 We are going to be doing a show ‘n’ tell of our quilts and designs and doing the demo with the Easy Dresden tool. We’re very excited!! As you know, Paige is an excellent longarm quilter. She gave me my first lesson on loading a quilt. I learned a lot. One of the things I took away from the lesson, besides how important it is to have a square quilt for the quilter’s sanity, is to make sure that all my pieces, backing and batting are cut to size, only 4-6″ more on each side. Otherwise it creates more work for the quilter. I know in the past I’ve been guilty that. Another good tip is to remove all of your extra threads on the back that may show through on the front. 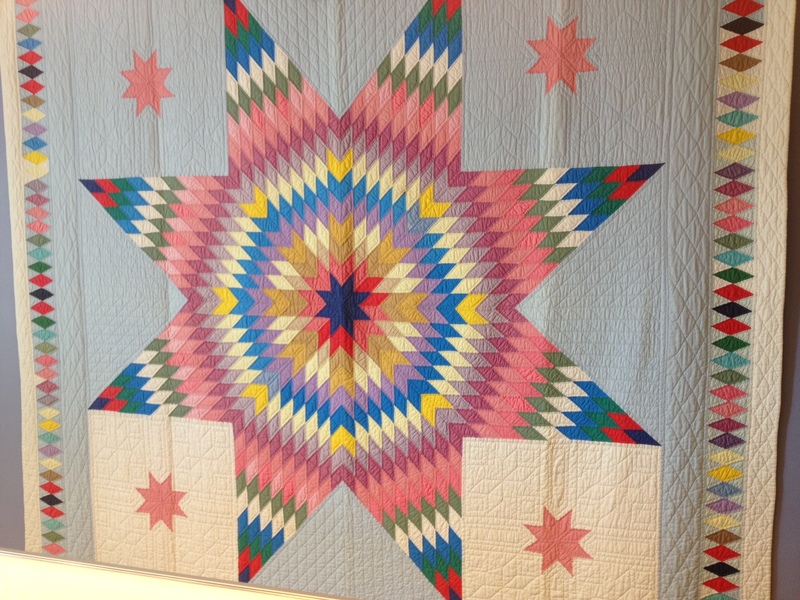 This beautiful Lone Star quilt hangs in her longarm room. Talk about inspiration. I’m always in awe of this quilt. What a find! 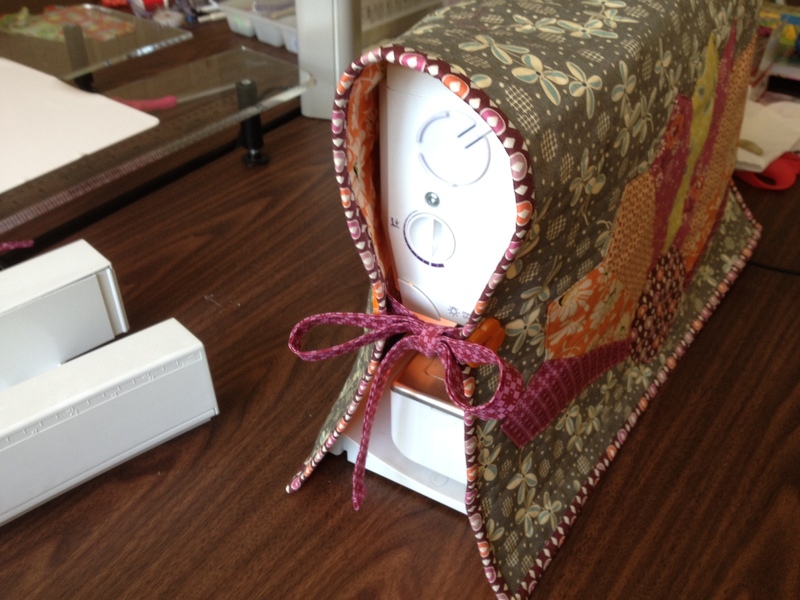 And check out this super cute sewing machine cover she whipped up. Of course there is a dresden on it! I can’t wait to show y’all the fabrics tomorrow for the Fabric Friday post. New patterns & fabrics. You won’t wanna miss! 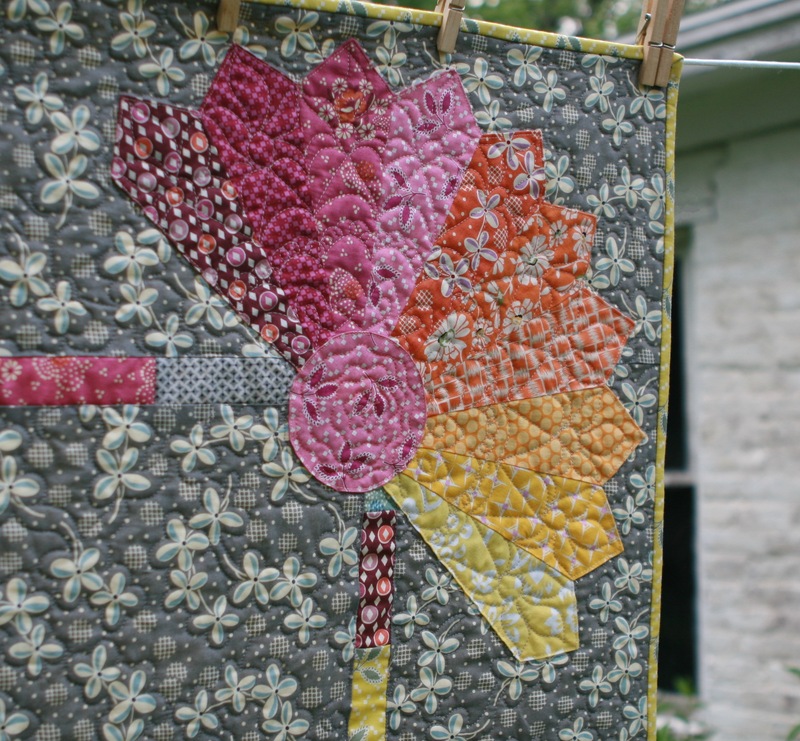 Are you thinking about taking a quilt to a longarm quilter and not quite sure what you need to do to prepare your quilt before dropping it off or sending it out? I’ve pulled together some helpful tips to ensure a better end result with your quilt while helping to reduce the possibility of unnecessary extra work for your quilter and extra costs to you. Please piece carefully. 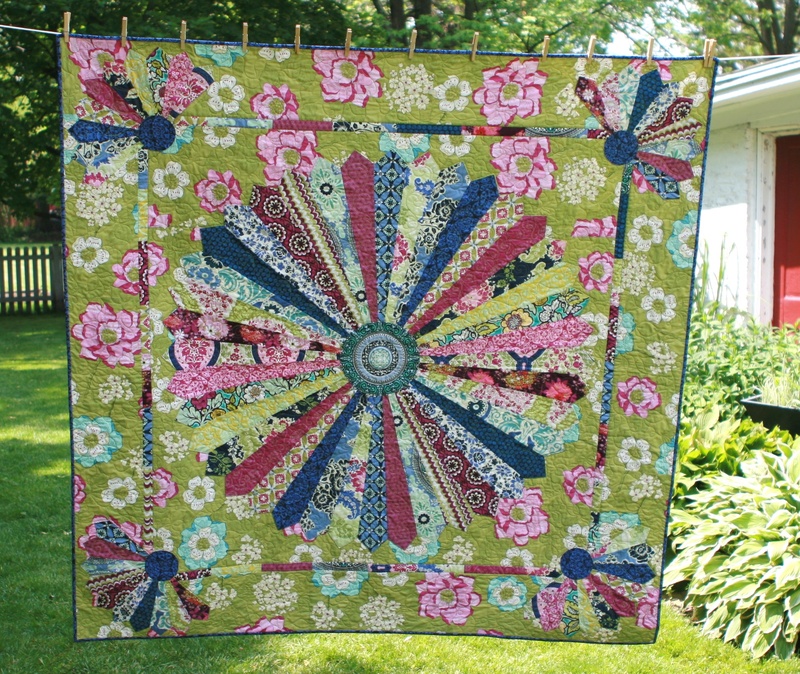 Longarmers cannot quilt out bubbles and pleats that have been pieced. 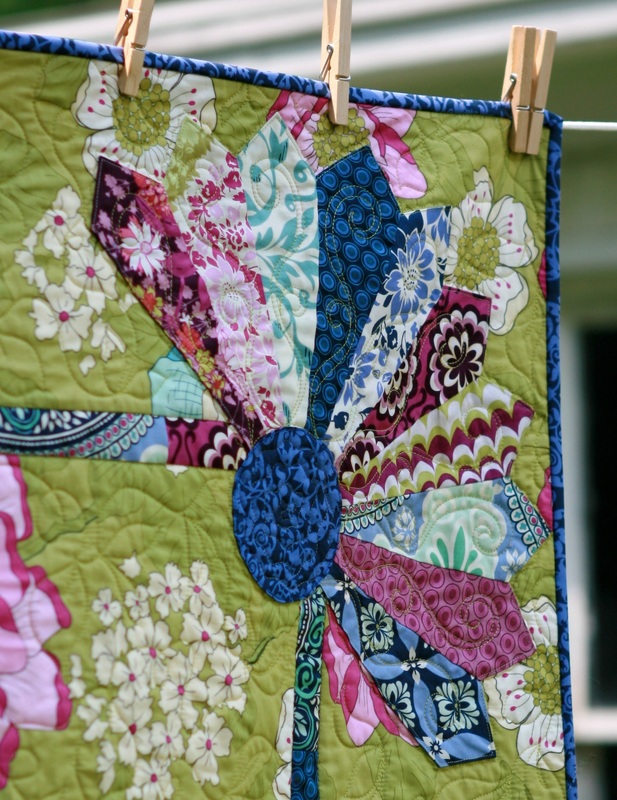 Take the time to square your quilt top, batting and backing – I can’t stress this enough! 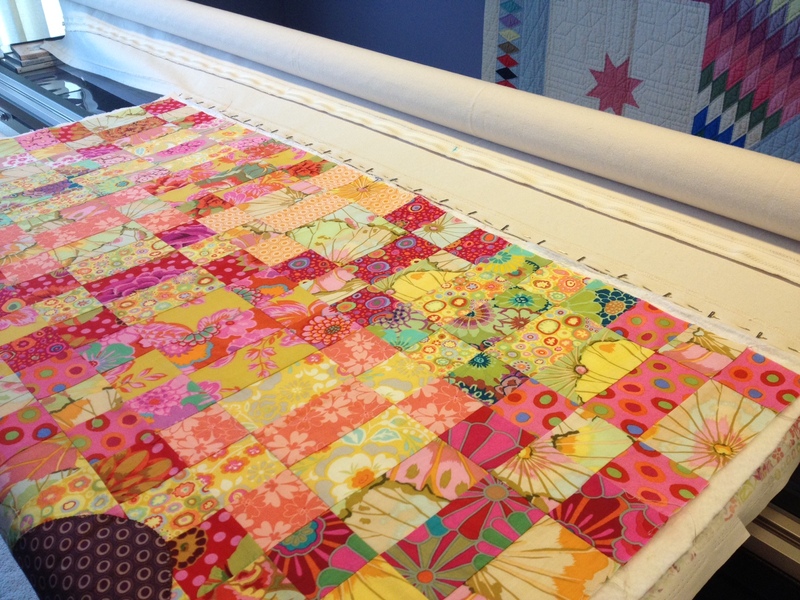 Many times it is not obvious to the longarm quilter until the quilt is fully loaded on the machine rollers. In some cases, it will require extra work for the quilter to unload, square and reload and most likely they will charge you to do so. 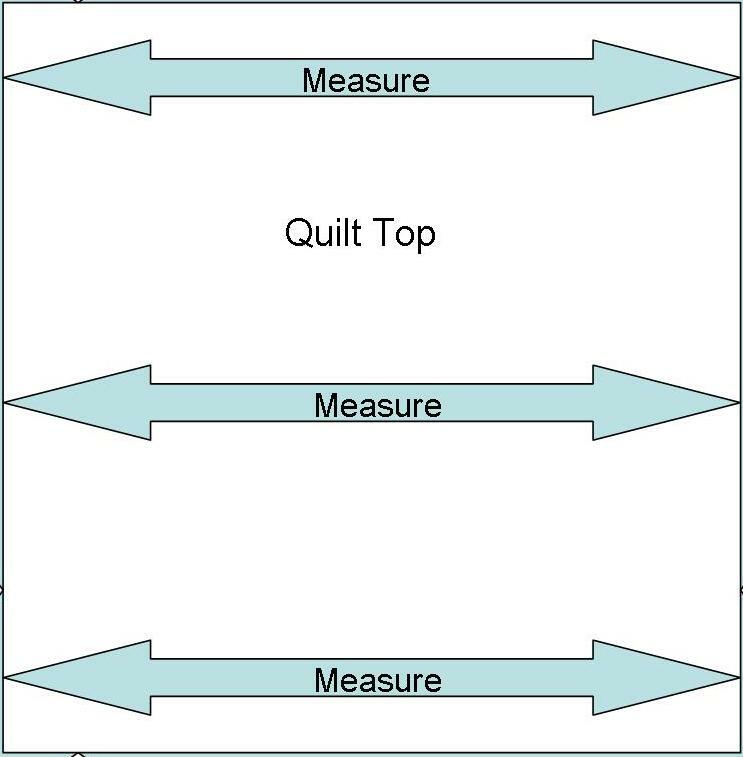 For flat borders, measure your quilt center in three places as shown in the diagram below…1) where the border will be sewn on 2) down the center and 3) the opposite side of the quilt then take the average -this will give you a consistent accurate measurement for the opposing borders. Pin borders on, stitch and press. 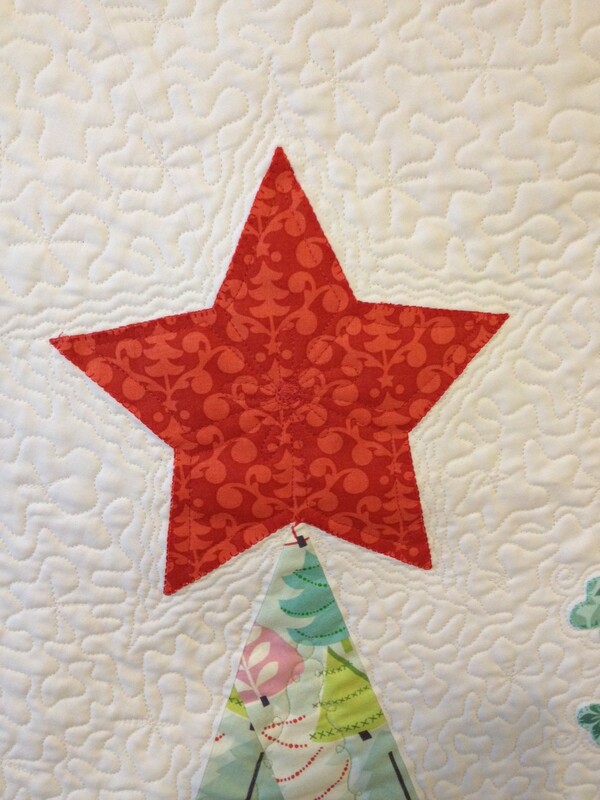 When stitching your borders on, consider using a dual-feed/walking foot on your sewing machine to help pull both the quilt center and border fabric at the same time avoiding either from stretching more than the other. All seams on the quilt top and back must be pressed. Back seams should be 1/2″ and pressed open. Remove any selvages – they do not stretch and can cause blocks or backings to not lie flat. Trim all loose threads – you do not want to see dark thread tails lying behind lighter fabrics. 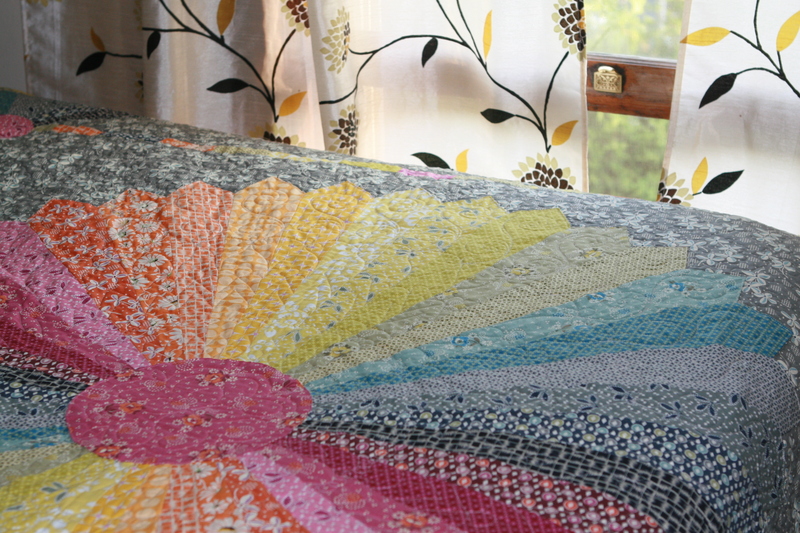 Backing and batting must be at least 6-8” longer and 6-8″ wider than the quilt top. This allows the quilter to attach grips to the sides of the quilts to help distribute tension on the quilt evenly…if less, the grips will get in the way of the machine when close to the edge of the quilt. I also recommend the backing and batting be fairly close to the same size, if backing is much larger than the batting the tension grips can only grip the back fabric and because of their weight can cause the quilt sides to sag resulting in uneven tension. 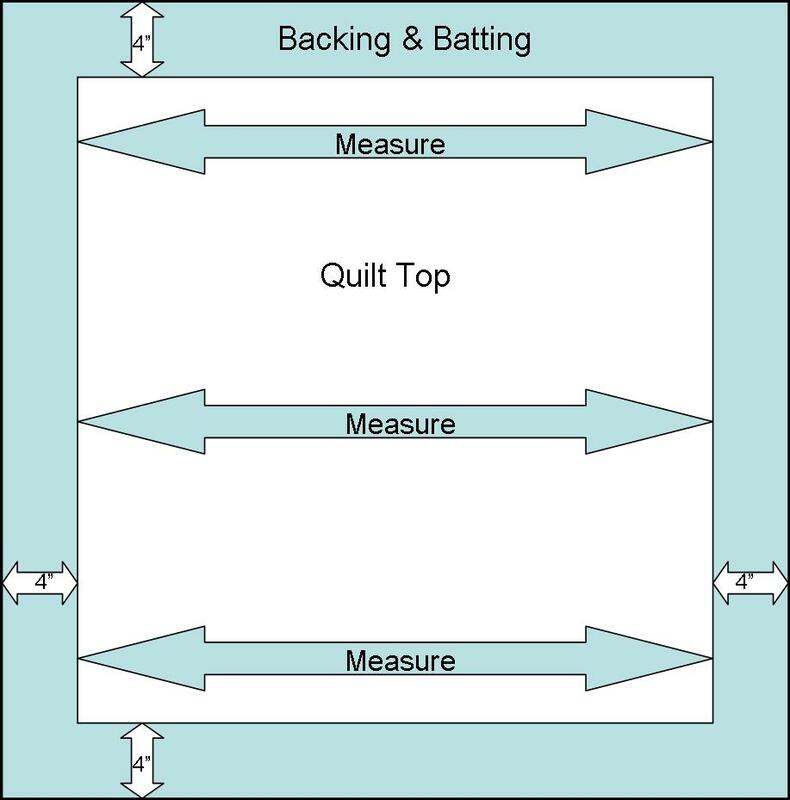 Before purchasing batting check with your quilter as they may have batting type restrictions. Some battings perform better than others on a long arm. To prevent uneven shrinkage, if you have washed your quilt top, you should wash your quilt back. If you have a heavily pieced border stay-stitch 1/8” in from the edge around the perimeter of the quilt to prevent seams from unraveling and/or stretching. Do not baste layers together. Top/batting/backing should be neatly folded separately and placed in a bag or pillow case to protect. Identify the top of your quilt with a safety pin if you have a preference. Following these simple tips will help your longarm quilter be more successful in quilting your treasure and you being more please with the end result.